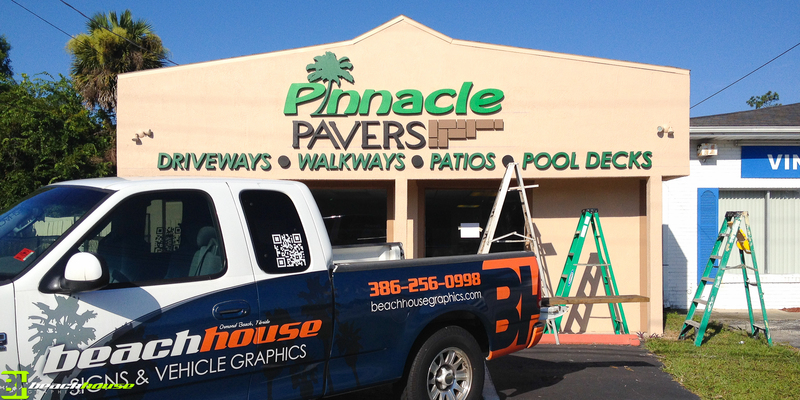 Warren from Pinnacle Pavers opened up a new location on US1 in Ormond Beach, and we had the pleasure of installing his new storefront sign. 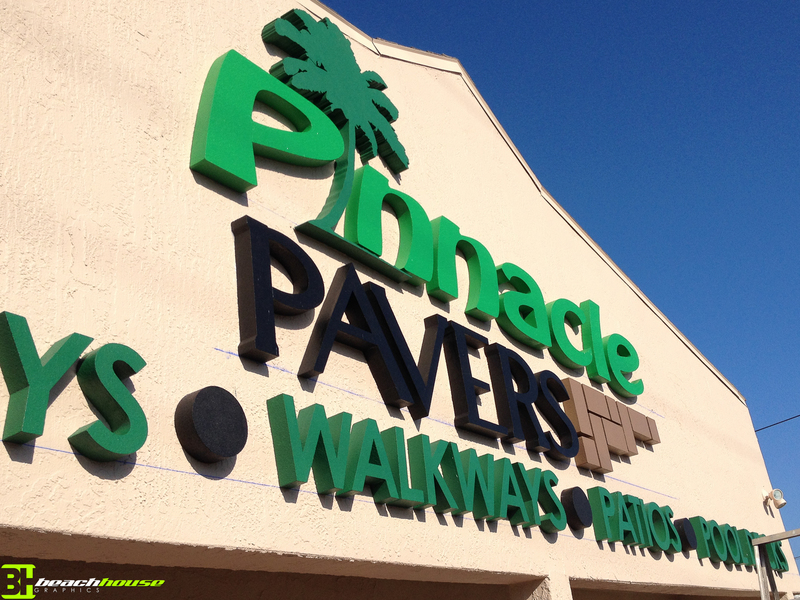 The right storefront signage can give your company a great look and feel, we used 2 inch cut foam lettering to complete this sign. The sign went up with ease and looks amazing. Whether your looking for a company to design, install or design & install we are here to help. Beach House offers top level customer service with competitive pricing. We are willing to work with you to bring your business to life! !